If you would like to have as many as unique and memorable experiences on your upcoming vacation, our Turunc Swim With Dolphins Tour is something you definitely shouldn’t miss. Book this unique experience with Excursion Mania and turn your holiday into an unforgettable one. Our wonderful escapade starts with a complementary pick-up from your hotel, followed by half an hour long ride to Marmaris. Once the comfy and cozy ride is over, and we reach the amazing Marmaris Dolphinarium, our adventure can begin. If you’ve decided to come and play with these lovely animals there are a few things you should know. All participants have to use life jackets to insure their safety. 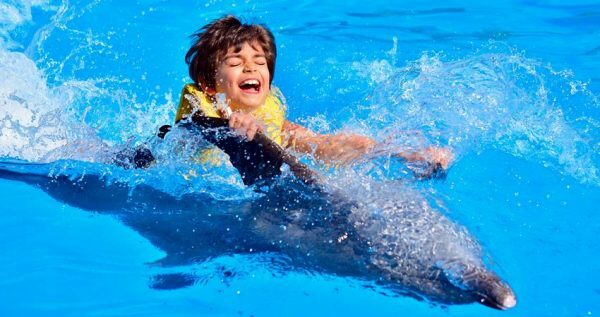 Children under the age of eight and pregnant women are restricted from swimming with the dolphins, as there is always a certain risk because of the sudden movements. Guests under the influence of alcohol are also forbidden from participating in the program. The total time that you will spent in the pool with the dolphins is around 10 to 15 minutes. At the end of the program you can buy your pictures or videos from the dolphin park. Please remember that all these pictures and videos are charged as extra. 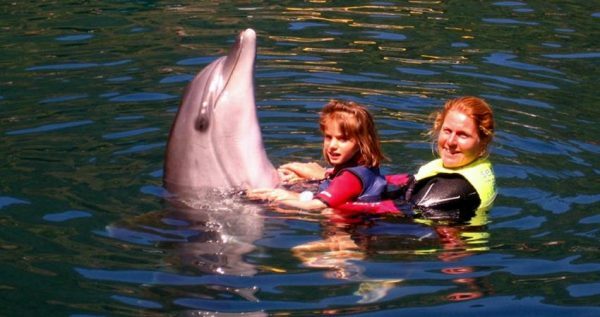 Once Turunc Swim With Dolphins Tour is over, our driver will pick you up from the dolphin park and take you to Marmaris bus station, where you can catch a dolmus back to Turunc. 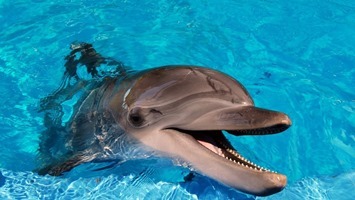 Dolphins are highly intelligent mammals, and they are actually part of the toothed whales family. Believe it or not, they are in the same family as orcas and pilot whales. 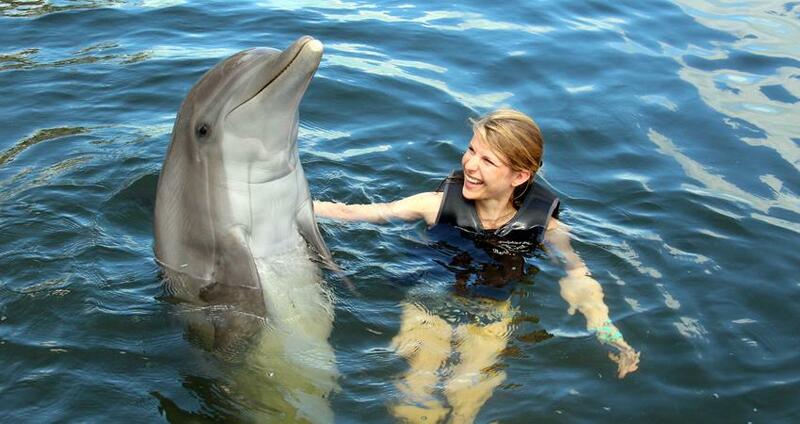 Unlike their close cousins, dolphins are very friendly and approachable animals. They are well known for their playful behavior which makes them favorite species among the wildlife of the sea. They are very cheerful and famous for their sudden leaps and spy-hops out of the water. One of their main traits is their immense intelligence. Apart from being quick learners when it comes to their adjustment to human behavior, they for example follow ships, and that helps them preserve their energy. That technique of swimming alongside boats and big ships is called bow-riding, and dolphins are known for it. 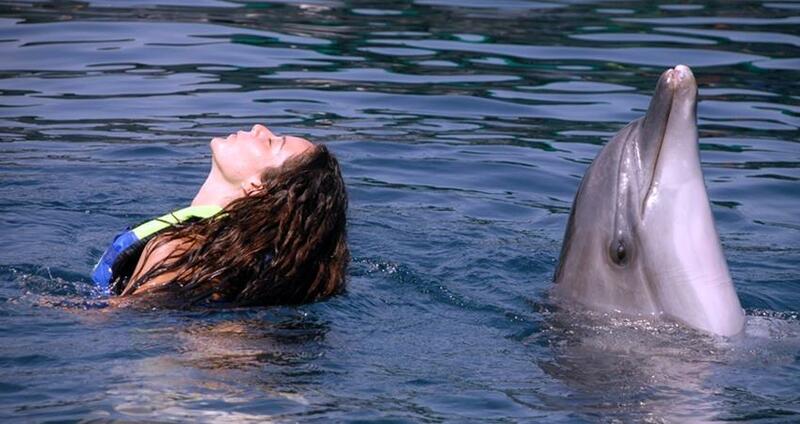 Dolphins are also very social creatures. They live in groups of five to several hundred. Their social habits also mirror in their behavior with humans. They love to please, and it seems as if they can feel someone’s moods, so they aim to make the people they encounter happy. In our magnificent park you will get to feel that on your own skin. 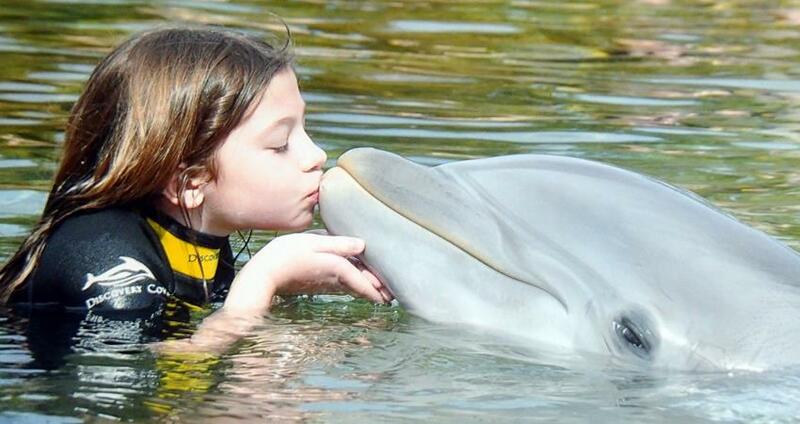 You will get to kiss the dolphins, swim with them, watch them dance and hear them sing. These incredible creatures are the true artists of the sea. You can also check Meet The Dolphins program from Turunc. 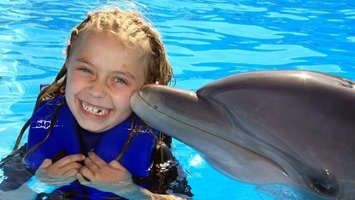 Turunc Swim with Dolphins Tour starts with a complementary transfer from your hotel in Turunc, to the Marmaris Dolphin park. This famous entertainment park is open every day. As ecursion Mania we offer two sessions from Turunc Resort for this tour . You can pick your own time and then we will adjust the transfer time according to that. At the park, we will be welcomed by a professional dolphin trainer, who will explain the rules and regulations of the park, and some basic information that you need to know before swimming with the dolphins starts. This part probably sounds irrelevant, but it is actually vital because of your safety, as well as the safety of the dolphins. Before your adventure with these captivating creatures starts, you will go to the changing rooms and change your clothes. 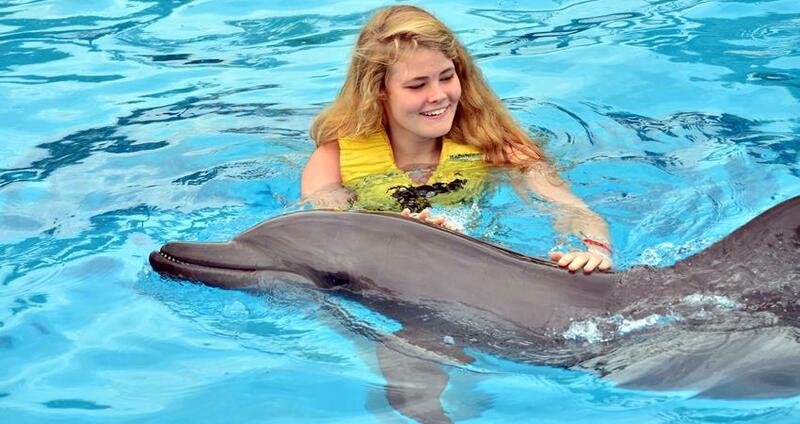 You also mustn’t use any sun cream, sun block or any other skin lotions, as they could be poisonous for the dolphins. You will get a life -saving jacket, that you will wear during your swim with the dolphins. Your session with these amazing creatures will last for about 30 minutes. 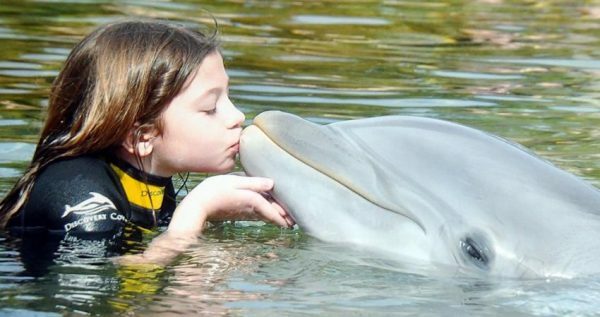 During that time, you will get to kiss the dolphins, dance and swim with them. 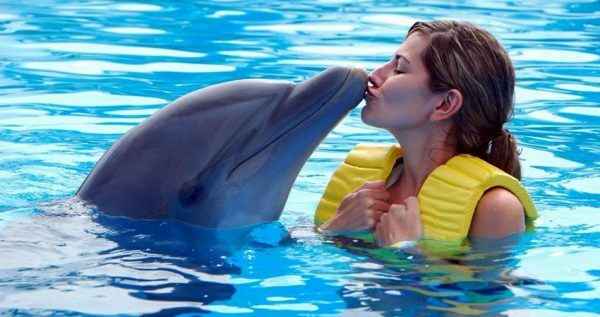 The trainers will be close at all times, to ensure that both you and the dolphins are safe, and gentle with each other. 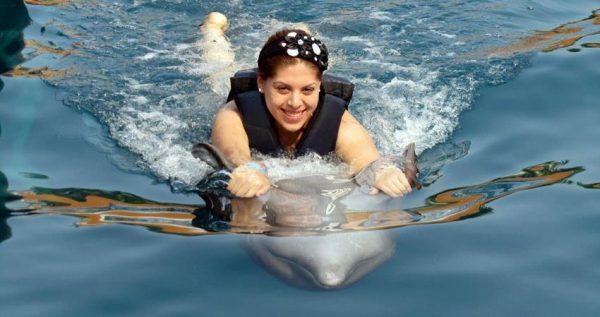 The most popular activity during the swim is the belly ride with the dolphin, which is a fun and unique experience. 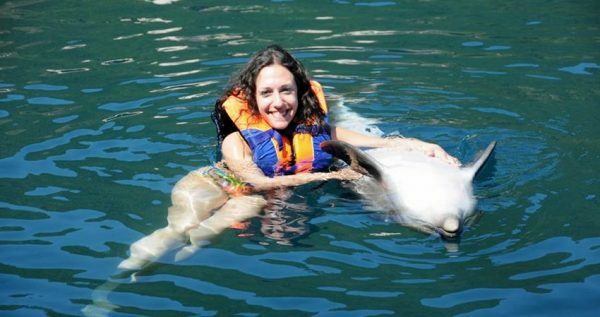 While you’re busy playing with the dolphins, our professional photographer will be taking pictures and videos of your adventure. 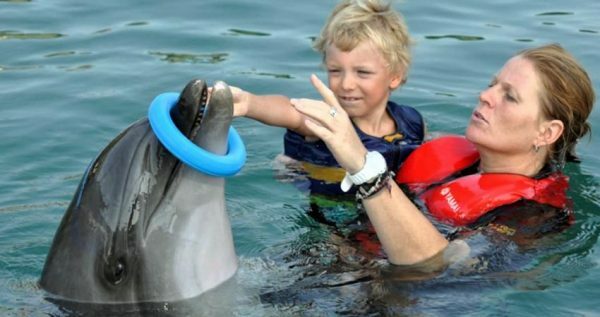 After your session with the dolphin, you will be able to watch them and buy the ones you pick as a souvenir. This tour lasts for about two hours. Once your time with the dolphins comes to an end, our driver will pick you up and take you to the bus station, where you can catch the next dolmus to Turunc.